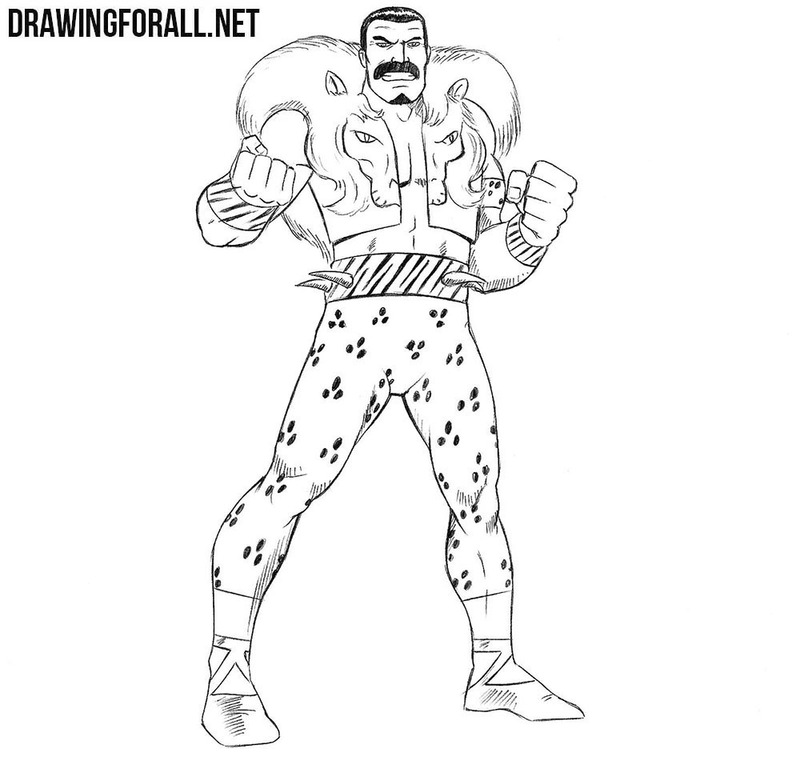 Today we will draw one of the most charismatic villains from the Marvel Universe – the Kraven the Hunter. Sergei Kravinoff is a manic-minded hunter that seeks to defeat Spider-Man in order to prove that he is the greatest hunter in the world. So, let’s start the lesson about how to draw Kraven the Hunter. Let’s start with the skeleton. Sketch out the head in the form of a conventional oval. 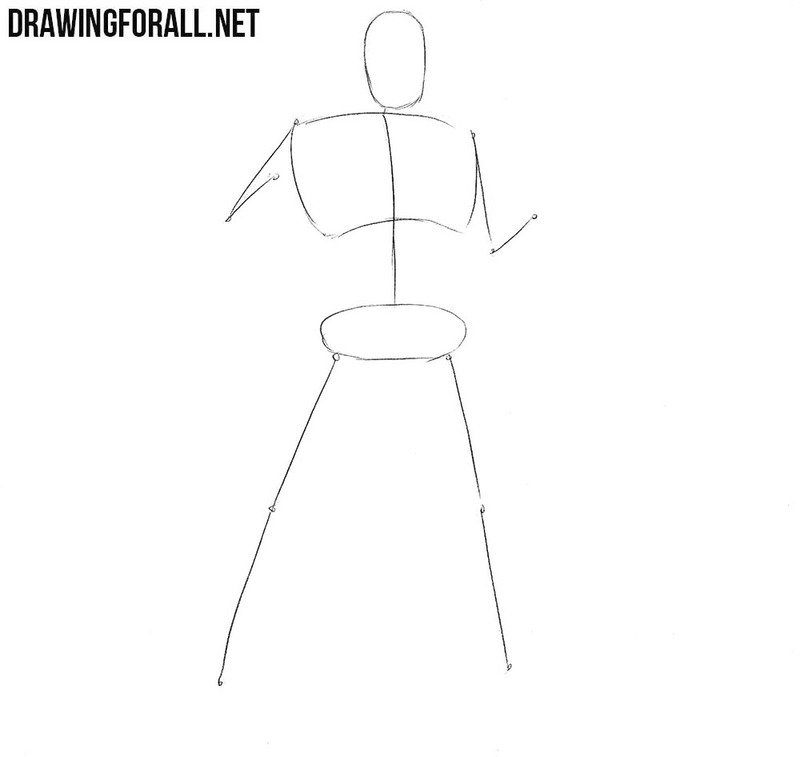 Then draw a simple line for the neck and spine. Sketch out the chest and pelvis. By usual lines sketch out the arms and legs. Do not forget that in the first steps we need to use very light lines, so that in the future it would be easy for us to erase them. Sketch out the intersecting lines on the head, which will help us to draw a face. Next, with the help of light lines sketch out the torso. 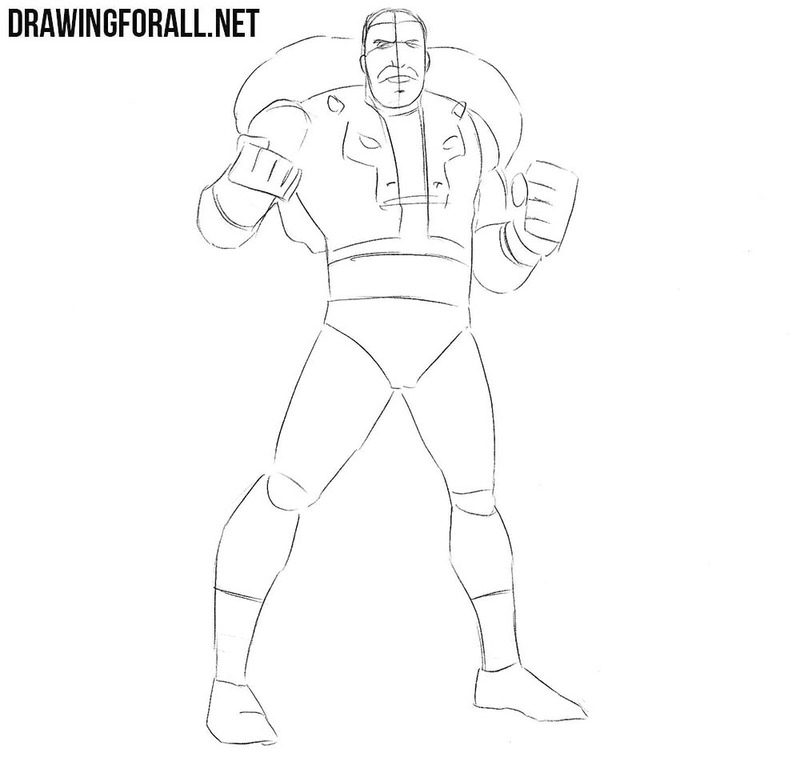 Further, using the same light lines and simple geometric figures sketch out out the arms and legs. This step is also drawn with very light lines. Now let’s outline the main details. Sketch the details of the face with the help of intersecting lines from the previous step. Next sketch out the mane on the shoulders and the details of the costume. Recall that you do not need to draw out all the lines too carefully at the first steps. 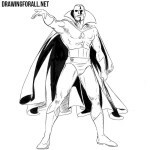 We need the first steps in order to sketch the main outlines of our character. 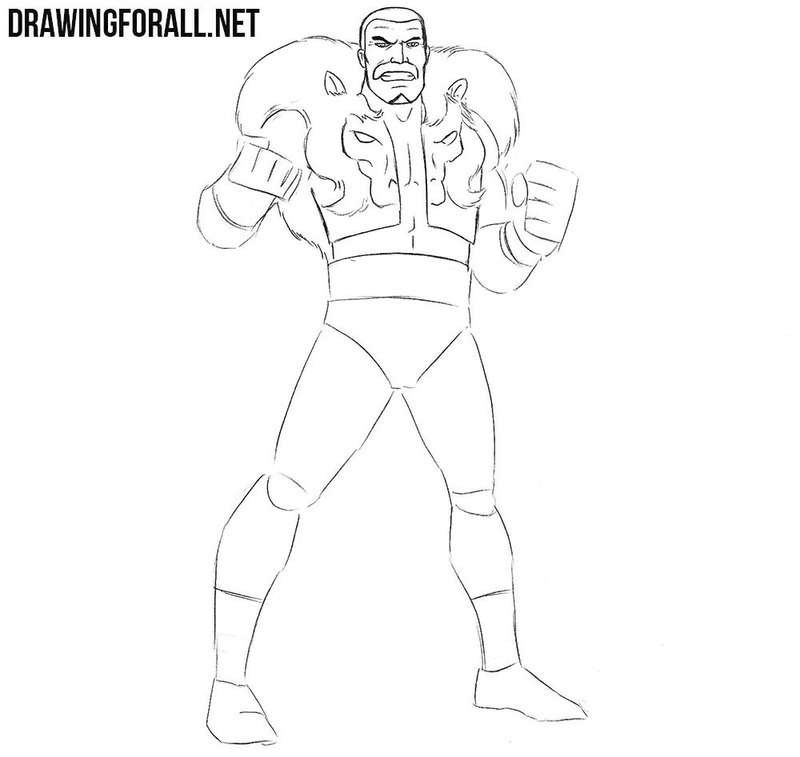 Starting with this step we will use clear and dark lines to draw draw out our Kraven the Hunter. With the help of such lines draw out the head. Next carefully draw out the eyes, nose and mouth with clenched teeth. Also do not forget to draw a characteristic mustache and wrinkles on the face. Now let’s move on to the torso of our charismatic villain. Draw out the outlines of the lion’s face on the torso. Using long and curved lines, draw a long mane on the shoulders. 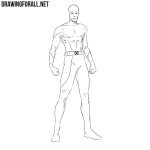 Also draw out the outlines of the muscles under the costume. Now we need to move to the arms. 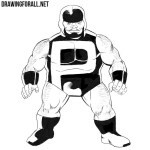 Draw them with clear lines as shown in our example. When drawing arms, consider all the muscles and wrinkles. Also be careful when you draw the clenched fists. 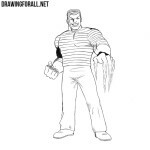 To learn more about this, visit the lesson on how to draw hands. 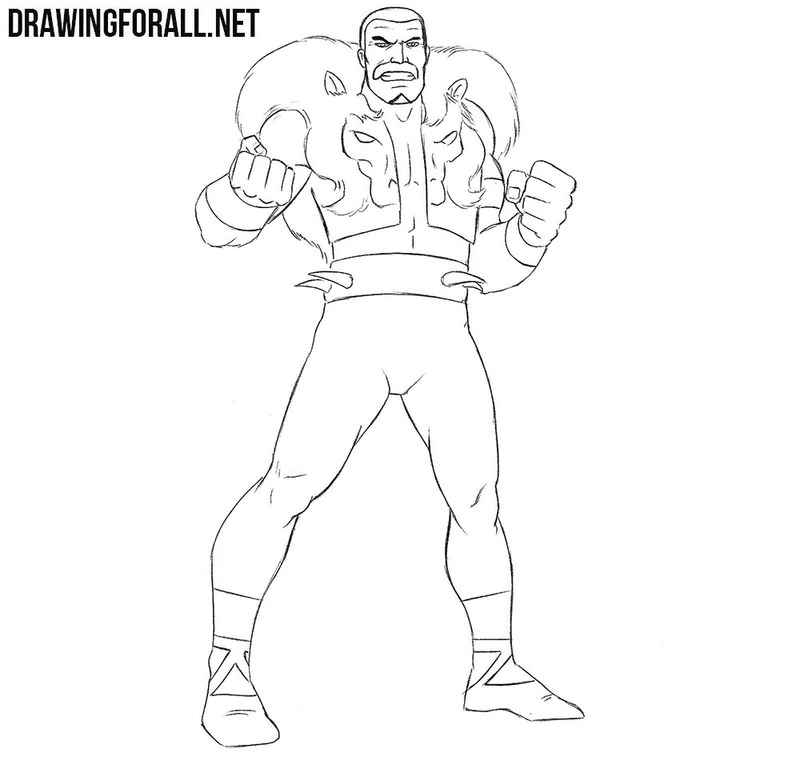 Now let’s move to the legs of our Kraven the Hunter. 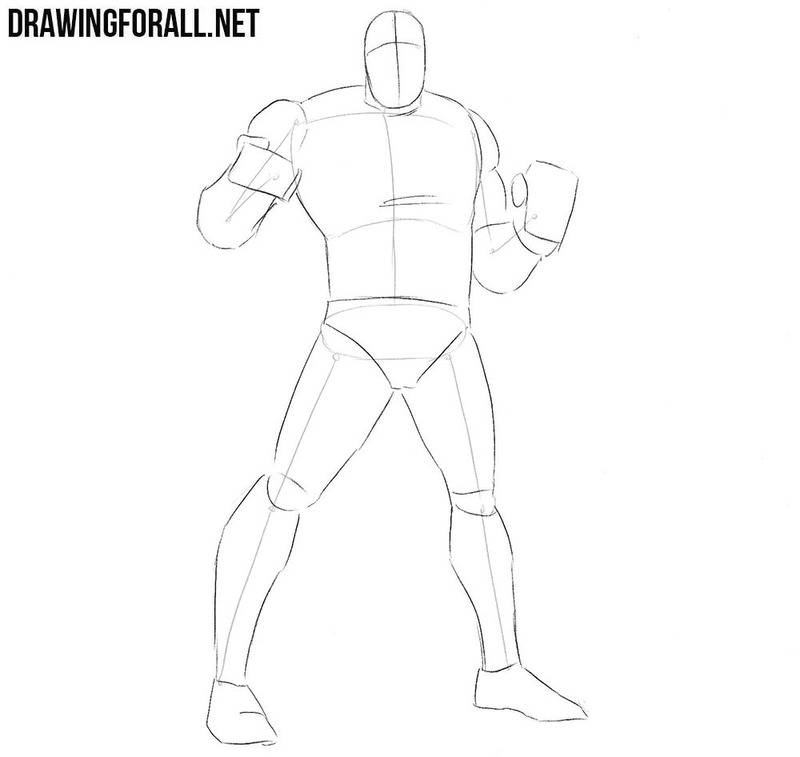 Carefully draw out the outlines of our character’s legs, taking into account all the lines of the muscles and joint as shown in our example. Do not forget to erase all unnecessary additional lines, and draw the spiked belt and shoes. 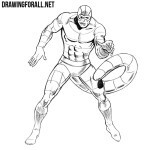 At the last step of our drawing lessons about characters from comics we always add shadows. Of course this lesson is no exception. First of all, we paint the hair and mustache of Sergei Kravinoff. Next, draw spots on the pants and lines on the bracers. And at the very end we draw shadows with dense hatching or as in our lesson about Spider-Man – using dark and contrasting shadows. 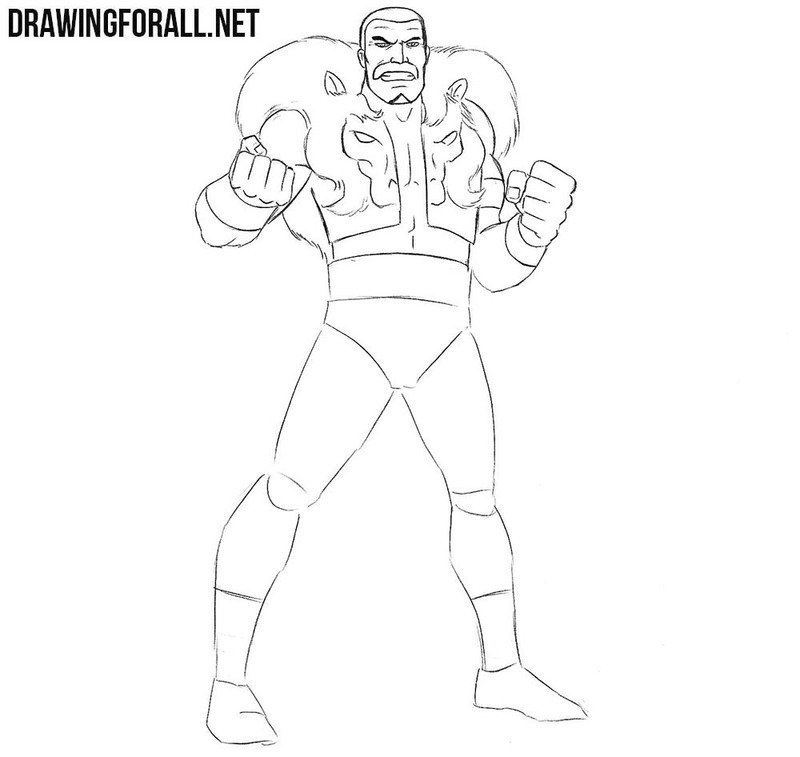 The lesson about how to draw Kraven the Hunter is finished, and we hope that it was interesting and informative for you. Do not forget that your opinion is very important for us, so write your wishes or criticism to the comments to this article or on our social networks.